Fifa has directed the Nigeria Football Federation (NFF) to reinstate Aminu Maigari as President and allow him preside over the August 26 Congress. Maigari was impeached by members of the executive committee (ExCo) in a meeting in Abuja last month. In a letter to the country’s football federation, dated Thursday, 14 August, world football’s ruling body said the meeting in which Maigari was impeached did not “comply with statutory provisions, such as issuing prior notice to members for the convocation of meeting and sending of agenda”. …Fifa on the situation of the NFF. Based on information and correspondents Fifa had gathered over the course of its investigation, it says Maigari was denied the avenue to defend himself of the charges leveled against him. It deemed the ExCo’s decision to suspend other members of the board- Chris Green and Yusuf Ahmed, which the NFF appeals committee has since lifted – as a step “beyond their prerogatives”. 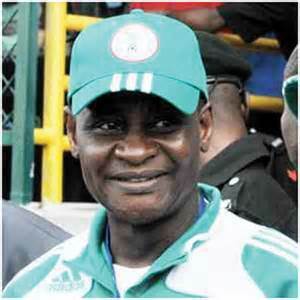 Fifa Wants Maigari to Preside Over the NFF Congress on August 26. “The different suspensions are affecting the electoral process by preventing persons to contest the election,” Fifa added. Consequently, it directed that the elections must hold as scheduled on August 26, and that all interested candidates must be given the equal opportunity to run. Fifa expects that elective Congress must be composed of the same Delegates who took part in the November 2013 Congress, unless they have been changed in accordance with the statutes. Arsenal Bids For Newcastle’s Cabaye. The “Girl is Not My Girlfriend:” Onazi Refutes Rumour over His Lazio Future.